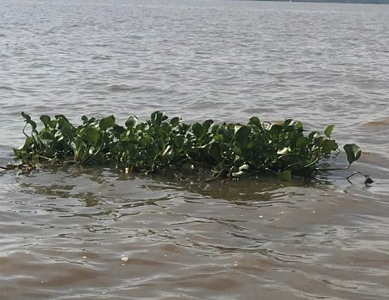 This summer, I was awarded a research bursary by the Engineering and Physical Sciences Research Council, to investigate for 10 weeks, the growth of water hyacinth in line with agricultural and industrial expansion since the 1980’s, in Lake Victoria. To characterise hyacinth growth, I analysed remotely sensed Landsat Imagery from 1980-2011 and using vegetation indices, I calculated change over time. This was an area of research, that prior to my work, had not been investigated and I was keen to find out if current management practices were appropriate in irradiating the species, or whether there were alternative ways to remove and use the plant more effectively. I was particularly fortunate because my supervisor, Professor Justin Sheffield and his BRECcIA team had a conference arranged in Kisumu, exactly where my research was focussed, and I had the fantastic opportunity to join the team in their work, while also researching for my own project. 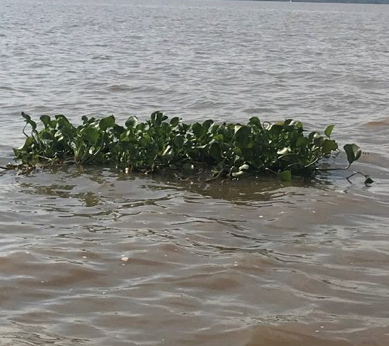 Whilst conducting my individual investigation and completing both quantitative and qualitative field research in Kenya, I spent time conversing with the stakeholders who manage the hyacinth within the lake. They provided me with ground truth data and research not available at University which I used to validate my findings. They also provided me with additional knowledge that I was previously unaware of, informing me that once the plant is removed, it is left to rot. I began to fathom the possibility of converting the hyacinth into a biofuel, to supply local communities for example, with cheap and affordable electricity. I wondered how and where would be appropriate to convert the biomass into a biofuel, if the plant would be able to supply the surrounding community with enough electricity, how its price would be determined, and who would sell the fuel to the population surrounding the lake, since it is owned by three different countries. This was a great chance for me to use my skills learnt at University, to critically evaluate whether this possibility could be put into practice and I am a certain that with additional research, this would be able to be a success. Whilst the aim of my trip to Africa was to investigate my project, I learnt a lot about how research is conducted and the logistics that go into successful research. I was surprised at how much effort, determination and skill goes into delivering us, as students, first class information and I believe such an experience should be offered to more students at the University of Southampton, as it has really opened my eyes into how research is completed and to a high standard. The experience has taught me that to be successful, you must be willing to go the extra mile and challenge your less advanced skills to refine them into a talent you can use for life. Prior to the trip I had only used remotely sensed analysis in one module for example, and I had to use it in my research project to provide sound conclusions. I made that introductory skill an asset that I can now use forever and whilst this was challenging, I believe this is an important way to learn. The project taught me that no matter how much you know, there is always more to study and seeing what I had learnt in the classroom put into practice, made me understand just how useful my degree at Southampton will be when I start my future career. I would like to thank Justin and his team for being so accommodating, allowing me to temporarily be part of their team and I urge any student with the chance to see how research is conducted to take the opportunity as it’s one that really does put what we learn in lectures into perspective. This entry was posted in Kenya, Uncategorised and tagged Student on 23rd November 2018.